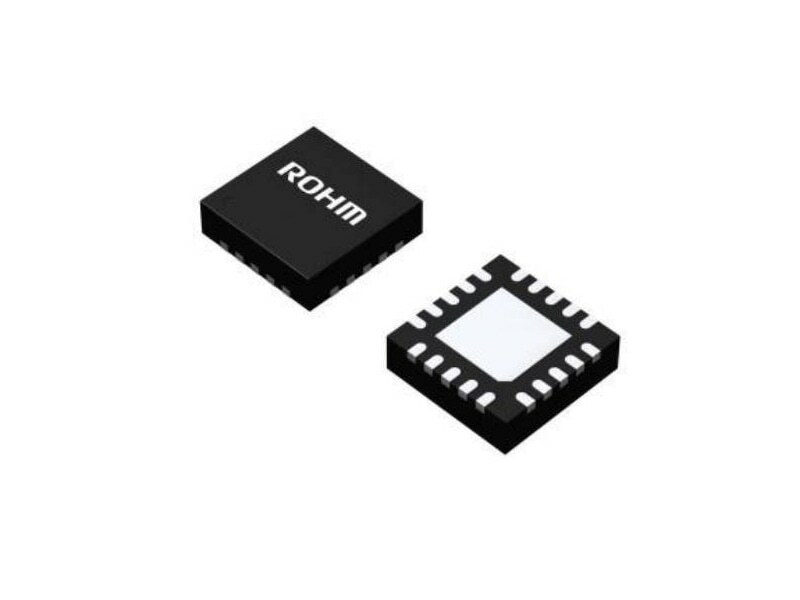 Measuring 3.5-mm square, the BM14270MUV-LB was developed by combining ROHM’s semiconductor production and sensor control technologies with Aichi Steel’s MI (Magneto-Impedance) element. The result is a contactless current sensor that eliminates the need to draw current within the sensor to measure it. The sensor itself consumes 0.07 mA. In addition, a disturbance magnetic field cancellation function is included to protect against noise, making shielding unnecessary. Digital output from the integrated a/d converter reduces MCU load, facilitating current monitoring.